East Hanover, NJ – While long-term recovery efforts are well underway in New Jersey from Hurricane Sandy and some communities have recovered completely, many in our state are still struggling to regain normalcy. NJ 2-1-1 continues to provide resources to assist those in need from the after-effects of the storm, as well as offering New Jersey residents preparedness tips for meeting the challenge of future storms that may hit the state. NJ 2-1-1 is the free, user-friendly phone number that serves 90% of America’s population, and connects some 16 million people a year to critical resources, information and services. In New Jersey, more than 210,000 people turned to 2-1-1 for help last year. 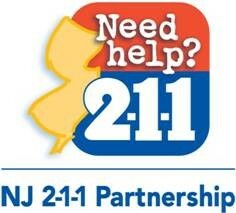 Emergency preparedness and resources are available on the 2-1-1 website www.nj211.org or by calling 2-1-1. Take time to learn about what preparedness systems are in place in NJ and nationally at http://nj211.org/homelandsecurity.cfm andhttp://nj211.org/hurricane_preparedness.cfm. Or consider registering with “Register Ready,” a free, voluntary and confidential web-based program designed to identify the needs of people who may find it difficult to get to safety in the event of an emergency. 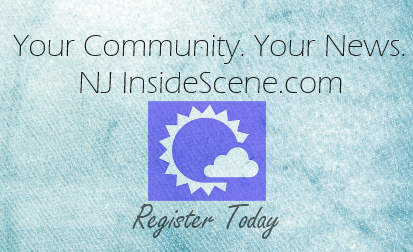 People with access and functional needs (or caregivers on their behalf) are encouraged to register electronically, if possible, by accessing www.registerready.nj.gov. Alternatively, they can dial 2-1-1 and call specialists can assist with the registration process. Emergency management officials view special needs registries from varying perspectives, ranging from concerns about the need for consumer expectations management to an increased sense of confidence about being able to track individuals in their communities who require specific assistance during adverse conditions. Registries can also become a focal point for building a dialogue about emergency preparedness with individuals who have access and functional needs or establishing a rapport with stakeholder groups who work with at-risk populations. Registries are a great tool to help emergency management officials enhance services to community members, but they are not the only tool. Planning, emphasis on personal preparedness, and the engagement of stakeholder groups who work with functional needs populations are also tasks aimed at building a program which serves vulnerable populations. United Ways have been long-standing supporters and the national leader of the 2-1-1 movement in Partnership with AIRS (Alliance of Information and Referral Services). As the largest private funder of the 2-1-1 network, the United Ways of New Jersey, in partnership with the State of NJ continue to strengthen and support 2-1-1 as another way to build stronger communities in our state and to create opportunities for all.